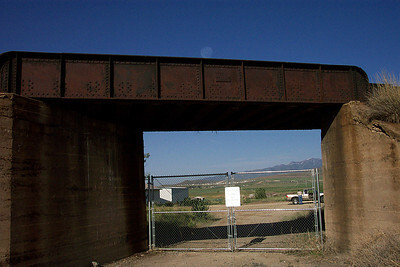 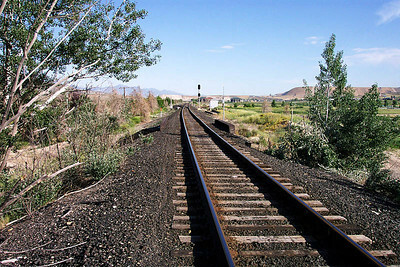 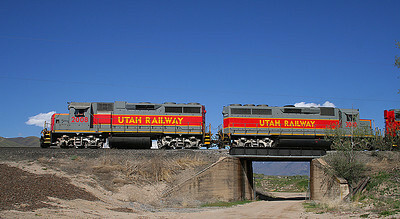 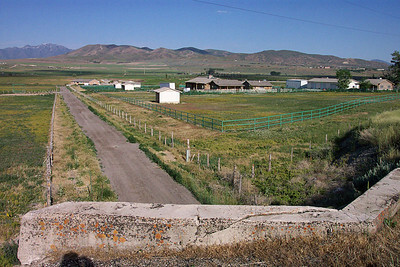 Photos of the two bridges at D&RGW's Mesa siding west of Lehi, taken on June 4, 2004. 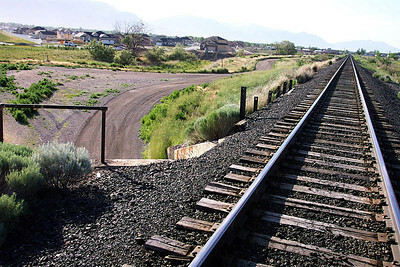 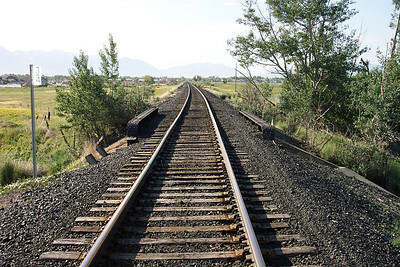 Both were removed due to construction of UTA's Frontrunner South between Salt Lake City and Provo, in 2008 through 2012. 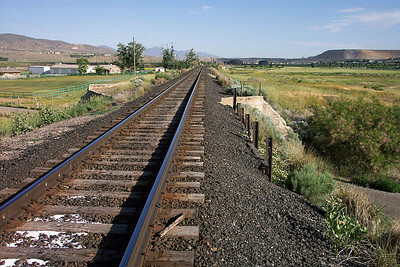 The two photos by James Belmont were taken in April 2006. 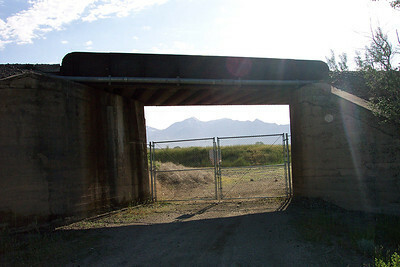 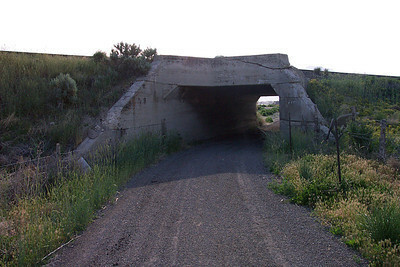 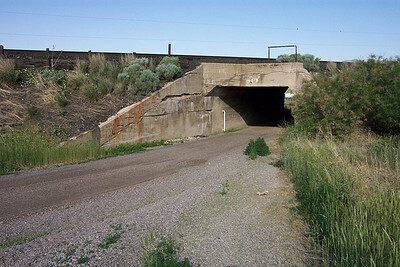 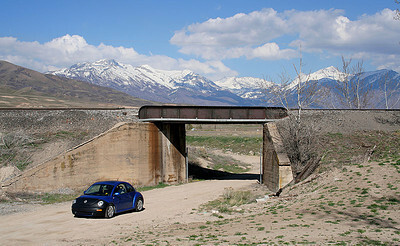 The concrete Salt Lake & Utah undercrossing (abandoned in 1947), and the steel UP Fairfield Branch undercrossing (abandoned in 1942). 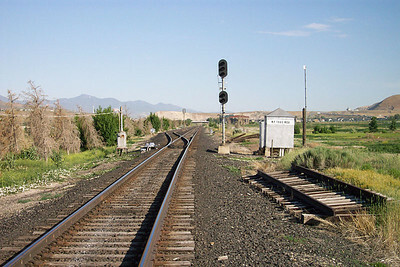 The UP line was the original 1881 Salt Lake & Western to Tintic, and there was originally an at-grade crossing of the two lines after D&RGW was completed in 1882. 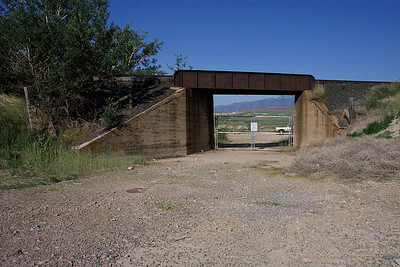 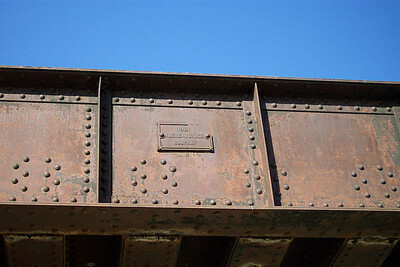 The bridge itself was completed in 1901 when D&RGW completed a minor line change, and raised its roadbed through Mesa. 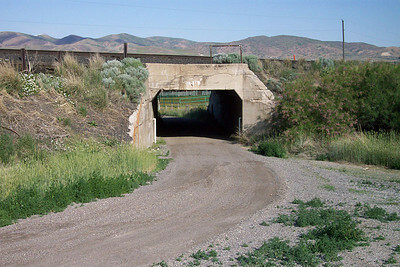 The Salt Lake & Utah line was completed as an undercrossing in 1913.